At netlogx we seek to find team members who want to be team players within the organization and with our clients. We will work with you to ensure that we are mapping your career goals and aspirations within our opportunities as we continue to challenge and inspire you to solve complex problems. Coverage including dental and optical for which netlogx pays 90% of the costs for team members and 50% for spouse and all dependents enrolled in the plan. There are two health plan options: a High Deductible Health Plan (HSA/Limited FSA compatible) and a traditional PPO plan (FSA compatible). All Team members’ costs are deducted as a pre-taxed item. HSA is administered by Chard Snyder allowing for eligible out of pocket health care expenses up to an approved limit. netlogx contributes to team members’ HSA accounts on a quarterly basis. FSA is administered by Chard Snyder allowing for eligible out of pocket medical expenses and dependent care up to approved limits. Our plan is operated by Mass Mutual and provides a company match. This is a position-based incentive scheme based on netlogx’ annual net revenue. STD/LTD is available at no charge to the team member through Guardian Insurance Company. $50,000 policy is available at no charge to the team member through Guardian Insurance Company. 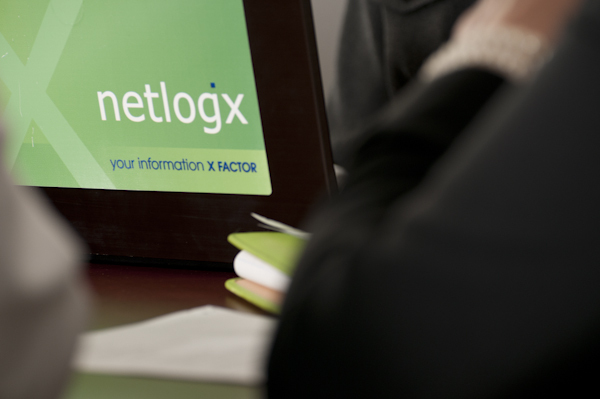 It is the policy of netlogx, LLC (“netlogx”) to provide for and promote equal employment opportunity in employment compensation and other terms and conditions of employment without discrimination based on age, race, creed, color, national origin, gender, sexual orientation, disability, marital status, Vietnam Era Veteran status, genetic predisposition, or carrier status. netlogx is committed to assuring equal employment opportunity and equal access to services, programs and activities for individuals with disabilities. It is the policy of netlogx to provide reasonable accommodation to a qualified individual with a disability to enable such individual to perform the essential functions of the position for which he/she is applying or in which he/she is employed. Further, it is the policy of netlogx to provide reasonable accommodation for religious observers. This policy applies to all employment practices and actions. It includes, but is not limited to, recruitment, job application process, examination and testing, hiring, training, disciplinary actions, rate of pay or other compensation, advancement, classification, transfer, reassignment and promotions. Audrey Taylor (Managing Partner) has been appointed Equal Employment Opportunity Officer and is responsible for planning and implementing the netlogx affirmative action program as well as for its day-to-day monitoring of affirmative action related decisions and activities.